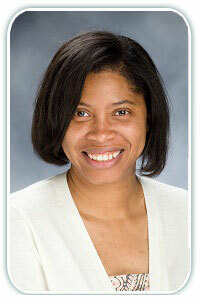 Home >> Providers >> Nikki Hughes, M.D. Dr. Hughes joined North Atlanta Primary Care in 2014, she works out of the Sugar Hill location. Dr. Hughes was born and raised in Columbia, South Carolina. She completed her undergraduate degree at Clemson University. Dr. Hughes is a big Clemson Tigers fan! She completed her residency at the Medical University of South Carolina. Some of her areas of medical interest include Women’s Health. Dr. Hughes is active member of many organizations some of which include the American Academy of Family Physicians, the American Medical Association, the Medical Association of Atlanta, and the Medical Association of Georgia. She is also apart of the Georgia Physician Leadership Academy. During her time at North Atlanta Primary Care she has led the Sugar Hill office to huge success. In her spare time, Dr. Hughes thoroughly enjoys reading, traveling and crabbing.